In an effort to keep Ontario’s auto sector competitive, automakers and parts suppliers in the province are exempt from having to give their employees a mandatory number of days off under the recently passed Fair Workplaces, Better Jobs Act. Under the act, all workers in Ontario — except for those in the auto sector — are allowed by law 10 days of personal emergency leave for illness, injury, bereavement or other emergencies, which includes two paid sick days. Under a separate piece of pilot legislation that went into effect Jan. 1, 2017 and will continue in 2018, those employed in the auto sector get seven days off, none paid. Another provision of that pilot grants three additional unpaid days off for bereavement. The exemption potentially affects about 100,000 people employed in Ontario’s auto sector. However, many unionized employees often have sick, injury and bereavement days written into collective agreements. And those collective agreements take precedent over the new Ontario law and pilot project. So, it would more than likely be smaller parts suppliers — downstream of large auto assembly factories — affected by the changes. Factories owned by General Motors, Ford and FCA are all unionized in Ontario. However, those owned by Toyota and Honda are not, but workers there have routinely rejected union drives in the past. City News of Toronto was first to report on the exemption, which is publicly available on the government’s website. A request for comment by the Minister of Economic Development and Trade wasn’t immediately returned, but a spokesman is quoted by City News. Unifor, the union that represents 23,500 workers in the auto sector — most of them in Ontario — accused automakers of lobbying for the changes and calls the exemption unfair. “There are no good reasons, other than the automotive industry wants to exploit workers further and want more control over their employees,” a union statement reads. In its statement, Unifor specifically named GM, Ford, FCA, Toyota and Honda as lobbying for the pilot project. “They actually get more days than the law is requiring,” he said. “We have no comment on the reasoning behind a decision made by the government, or details surrounding that decision,” Toyota Canada spokeswoman Suzanne Baal said in statement emailed to Automotive News Canada. Honda Canada didn’t immediately respond to a request for comment. Flavio Volpe, president of the Automotive Parts Manufacturers’ Association, said “there were a lot of things we were concerned about” in the Fair Workplaces, Better Jobs Act, but that his association did not specifically lobby for changes to the number of unpaid days off. He did say the changes in the pilot project are just one small element that could help keep the Ontario auto sector competitive. “Anything that helps scheduling, and flexibility of scheduling, is helpful. Anything that helps the competitiveness of our customers, that gives them more confidence in their ability to schedule and assign product is helpful for us,” Volpe said. 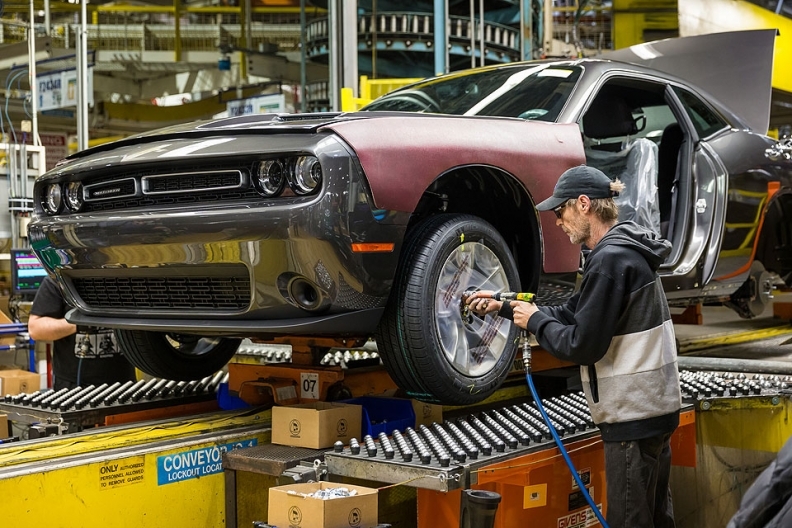 Even some smaller parts makers within the automotive supply chain in Ontario are unionized and have better benefits than the province is mandating. Ford, FCA and supplier Magna International also didn’t immediately respond.